To be clear, there have been multiple Marines who displayed inexplicable gallantry in combat warranting a Medal of Honor before they were subsequently captured. 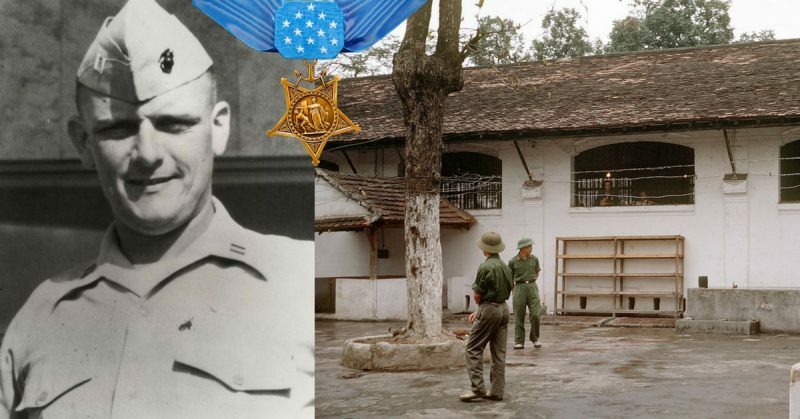 However, if you are searching the halls of history for the one Marine Medal of Honor recipient whose actions as a POW earned him the medal, you will only find Donald Cook. In fact, Captain Cook was only in Vietnam for 18 days before he was captured. He would spend the next three years enduring harsh captivity at the hands of the North Vietnamese. Despite deteriorating health, he would often give his food and medicine to his fellow prisoners in greater need. When questioned by the North Vietnamese, he never gave them more than his name, rank, service number, and date of birth. His captors didn’t even know he was a Marine and just assumed he was an Army Officer. Refusing to cooperate on multiple occasions, he found himself more than once being threatened at gunpoint. 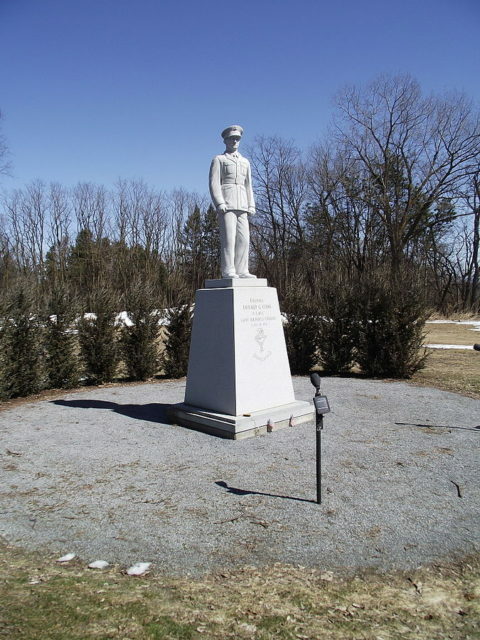 On one such occasion, Cook simply said, “You can’t kill me, only God can decide when I die.” For his actions during his captivity, Captain Cook was awarded the Medal of Honor. Donald Cook was born in Brooklyn New York in 1934. After high school, he chose to attend St. Michael’s College as he was a man deeply guided by his faith. While in college, he would prove quite the gifted linguist and was fluent in Latin, German, and French by the time he graduated. 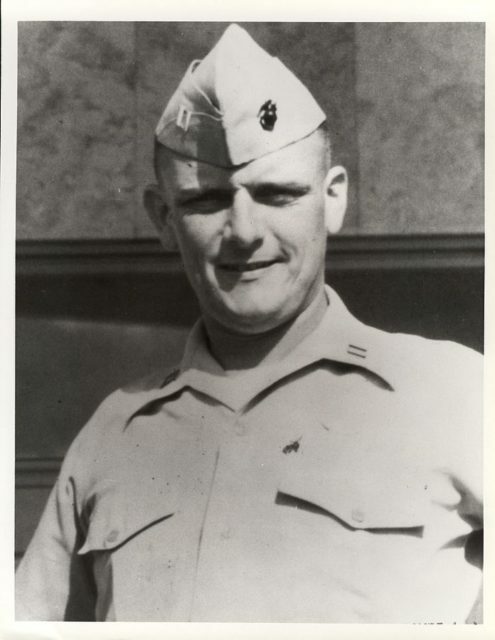 In 1957, he was commissioned a second lieutenant in the Marine Corps and was assigned as a communications officer due to his natural gift with language. He would serve as the officer-in-charge of an interrogation and translation team, before being assigned as an intelligence officer with the Fleet Marine Force Pacific. As the war in Vietnam began to ramp up, Captain Cook took a personal interest and began to study the Vietnamese language. By 1964, he was eager to volunteer for service in Vietnam to put his skills to use. Unfortunately for Donald Cook, his time as a free Marine in Vietnam would be remarkably short. 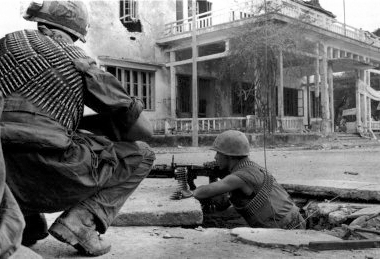 After only 18 days in country, Captain Cook and his fellow Marines became engaged in a firefight with the North Vietnamese and after being shot in the leg, Cook passed out from the loss of blood. When he awoke, he found himself the first Marine officer taken prisoner in the Vietnam War. By all accounts, the action in which he was captured displayed none of the characteristics one might associate with a Medal of Honor recipient. Rather, Cook’s place among the gallant men in the history of war would come as a POW. Shortly after capture, Cook had established himself as the senior officer among 10 other POWs and thus the legal spokesman for the group. Responsibility for leading the men through this ordeal would fall to him as well as official interactions with their captors. 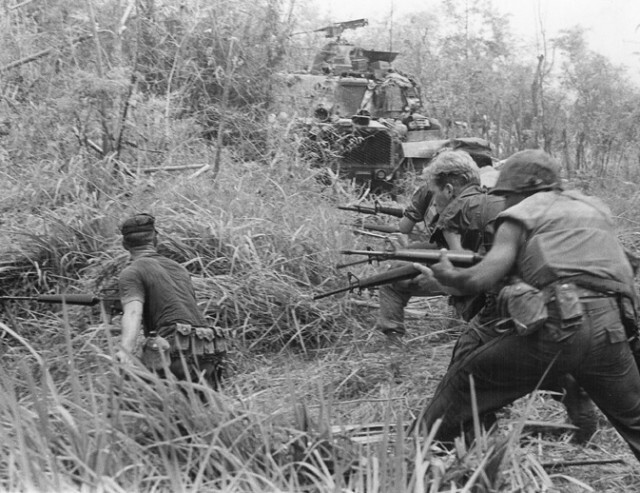 U.S. Marines fighting in Huế. The setting would be various jungle POW camps throughout Vietnam. They were given meager rations of rice and fish, quickly leading to malnourishment, sickness, and disease. As the senior officer, Cook would demand additional food and medicine, with some success but often at a high price to himself. When food was scarce and medicine hard to come by, Cook would often ignore his own deteriorating physical health to feed and treat his fellow prisoners. 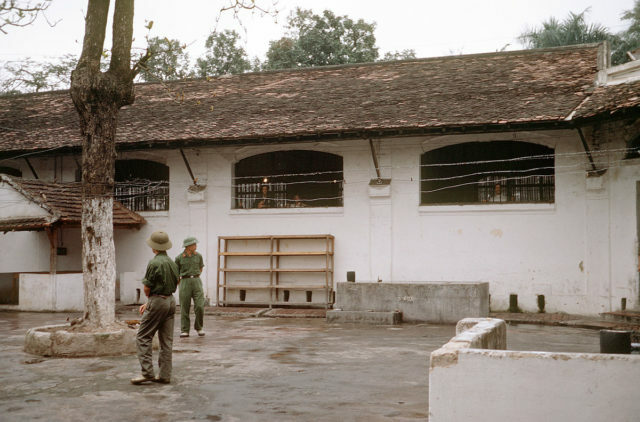 The “Little Vegas” area of Hỏa Lò Prison, built for American POWs in 1967. Shown in a final inspection in 1973 shortly before the Americans’ release. On more than one occasion when en route to a new POW camp, Cook would bear the burden of his fellow weaker prisoners packs to ensure they made it alive. Through his encouragement, leadership, and support his fellow prisoners would always make it. For Cook, it almost seemed unthinkable to give his captors the pleasure of their deaths or their cooperation. On top of caring for his fellow prisoners, he would lead them in their defiance towards their enemy. Under extreme duress, it is common for POW’s to submit to behavior outside of the code of conduct. However, Cook never relented. Despite harsher treatment for doing so, it was his policy to give them “the big four and nothing more.” “Name, rank, service number, and date of birth” is all the Vietnamese would ever learn about Donald Cook. However, the gifted linguist would work hard to stay one step ahead of his foe. He continued to learn and master the Vietnamese language while in captivity although he never once spoke it to his captors. Fellow prisoners report that he often seemed to be in the minds of the guards due to his ability to listen in on conversations unbeknownst to them. He helped lead a failed escape attempt on at least one occasion, but due to the weak physical condition of the prisoners, they were unable to make it. He was severely beaten as the senior officer for doing so and it was on this occasion that a pistol was placed to his head and he gave his famous line “You can’t kill me, only God can decide when I die”. As fate would have it, Captain Cook would prove that statement true. 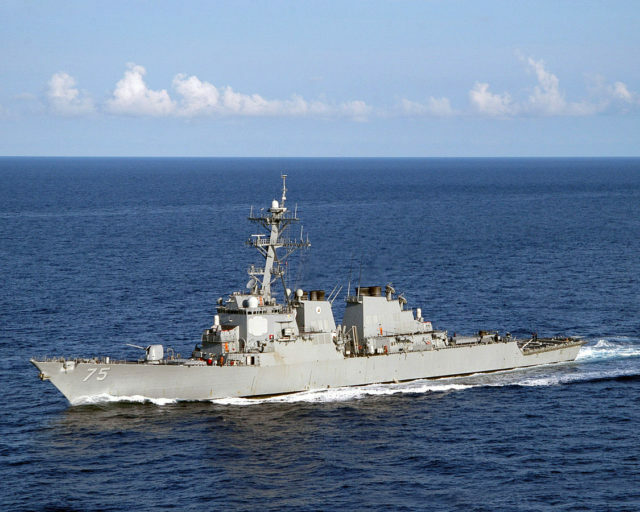 USS Donald Cook at sea. It wasn’t the beatings, the starvation, or a bullet that took Captain Cook’s life. Rather, was the bite of one mosquito. Captain Cook died of malaria in December 1967, just shy of three years in captivity. The accounts of his fellow POWs brought his story back to the world and in 1980, Captain Cook was awarded the Medal of Honor by President Jimmy Carter. It was presented to his widow, with his children looking on, and it reminded a nation to be thankful for a strong character like Captain Cook. His story is one of faith, commitment to his fellow prisoners, and a burning determination to fight until the very end.